UPG collects coins to support a Bal Gurukul. Teachers and students from Usha Pravin Gandhi College of Management, Mumbai mobilized resources using IDF Piggy Banks to support IDF Bal Gurukul projects in India. IDF Salutes Team UPG for the unlimited power of goodness. 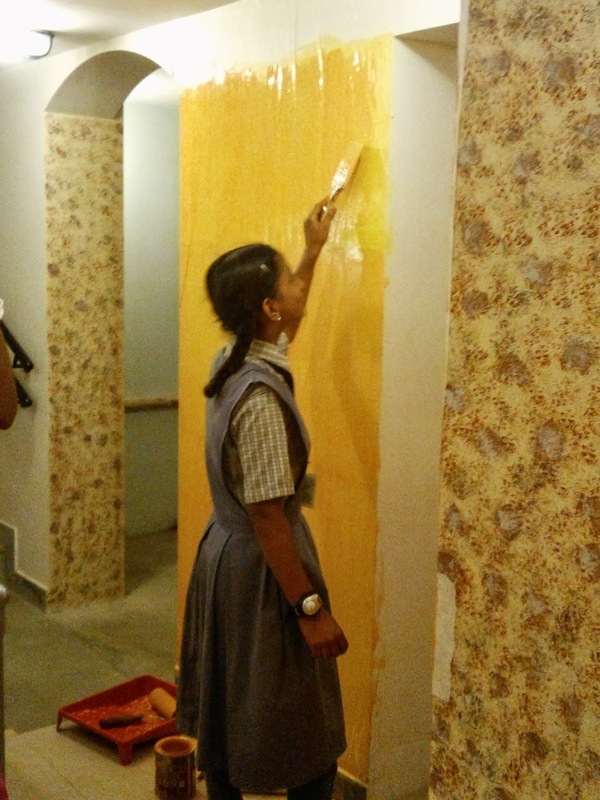 Our special thanks to Dr.Geetha Mohan, Principal of the college for extending wonderful support. IDF Congratulates team UPG !!! Institute for Technology and Management (ITM Kharghar) students interning with Indian Development Foundation (IDF) visits IDF Bal Gurukul @ Panvel. Mr. Vrajesh, Mr. Tapas, Mr. Gaurav, Mr. Mainak and Mr. Anjan form ITM visited the Bal Gurukul. They interacted with the students, teachers and Principal Mr. Kailash Mhatre, Inquired about the concerns of the school, students and also about their academics. The Volunteers would be taking lectures for the personality development of the students and also helping them to improve them in their English learning skill. They would also help them to understand the Science topics viz; Dispersion of Light , Concave and Convex mirrors etc and also assist them in understanding various mathematical topics. 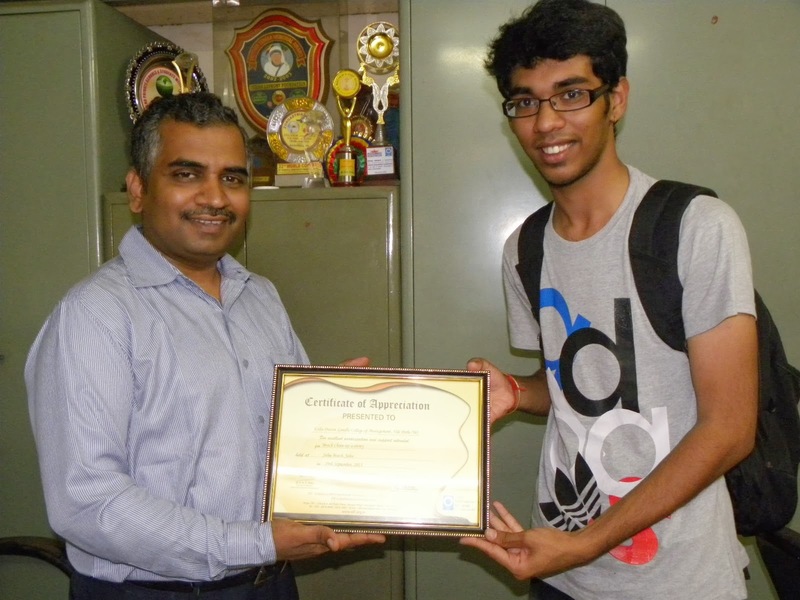 IDF appreciates the efforts of the ITM students. 60 students from Institute for Technology and Management (ITM Kharghar) will do social internship with Indian Development Foundation. The team were invited at Vimala Dermatological Centre, Versova, Yari Road, Mumbai on 23rd Sept. and briefed about the social projects. 3 Groups have been designed with Health, Education and Resource Mobilisation Theme. Students will create health awareness, teach children in IDF Bal Gurukuls and Municipal Schools and also generate resources for social projects. All the students were motivated by IDF team - Dr. ARK Pillai, Dr. Narayan Iyer, Prof. Prajesh Trotsky, Mr. Nasrulla, Ms. Sonakshi Pratap, Mr. PSV Nathan and Ms. Salma Menon. Piyush and Munmun have been nominated as leaders for the 3 Groups. IDF appreciates the social responsibility initiatives of all the students. BEST WISHES. JAI HO !!!. 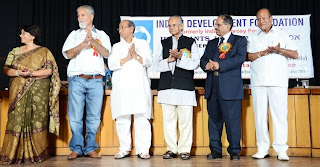 A health camp was organized by Indian Development Foundation and Nilgiris Leprosy Eradication Scheme, Coimbatore on the 21st of September, 2013 at Y.M.C.A hall, Coonoor. 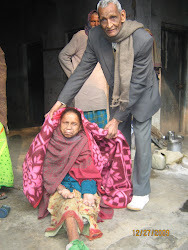 Mr. Jesudas explained the patients and the gathered people about the effects and treatment from the leprosy. He also advised the patients to take preventive measures from the disease. Leprosy patients were gathered and their deformities were cleansed by Mr. Amalraj, Physiotherapist and Mr. Jesudas gave away the medicines and M.C.R. chapels for them. Mr. Ashok of Prakash Studio’s and Mr. Gibson of Grace Charitable Trust, Coonoor sponsored the program. Refreshments and food were given to the patients. Beach Clean-up Drive - The day after Ganpati immersion @ Juhu & Marve. Juhu Beach Clean-up Drive organized post Ganpati Visarjan on 19-09-2013. Indian Development Foundation in collaboration with volunteers from various schools and colleges across Mumbai. The volunteers from the colleges showed great enthusiasm and care for the beaches and collectively accumulated the stuff fro the beaches to bring it to shine. UPG College of Management, Vivek College of Commerce, N M College, Bhavans College, JM Patel College, Gurukul Junior College Podar School, NSS Volunteers from various colleges, volunteers from Dominos Pizza Team, Rotary Club of Mumbai North End, Rotaract Club from NM College and many volunteer groups joined Municipal Corporation in the Juhu Beach Clean-up Drive after Ganpati immersion. The total efforts by the volunteer-group was appreciative and we could see Juhu Beach & Marve Beach with sparkling yellow sand once the debris strewn was removed. Dr. A.P. Jayaraman, Nuclear and Management Scientist and Trustee of Indian Development Foundation (IDF) spoke to the teachers of St. Thomas School, Indirapuram, Ghaziabad on 14-09-2013. The session aimed at inculcating Thinking Skills with scientific approach towards academics. IDF appreciates the efforts of Rev. Fr. Saji Yohannan, Chairman - Mr. V. K. Kuriakose, Principal and Mrs. Shali Nair, Vice Principal for co-ordinating the entire programme. Also thanks to all the students for contributing for social causes. The schoolteam took the opportunity to celebrate ONAM festival and spread happiness. Dr. A.P. Jayaraman, Nuclear and Management Scientist and Trustee of Indian Development Foundation (IDF) spoke to the students of Ingraham Institute English School, Hapur Road and G.T. Road Branches, Ghaziabad on 13-09-2013. The session aimed at inculcating scientific temper in young minds. The students got a new approach for learning science and scientific aspects of academics. IDF appreciates the efforts of Wg. Cdr. Prakash Jethro, Director, Mrs. Arpana Ruth (Principal - ICSE), Mrs. Mohini Sampson (Principal - CBSE) and Mrs. Anita Blest (HM Jr. Sec) for co-ordinating the entire programme. Also thanks to all the students for contributing for social causes. Dr. A.P. Jayaraman, Nuclear and Management Scientist and Indian Development Foundation (IDF) Trustee spoke to the students of MGD Girls School, Jaipur. The session aimed at inculcating scientific temper in young minds. The students got a new approach for learning science and scientific aspects of academics. IDF appreciates the efforts of Mrs. KameswariJi for co-ordinating the entire programme. Dr. A.P. Jayaraman, Nuclear and Management Scientist and Trustee of Indian Development Foundation (IDF) spoke to the students of St. Thomas Girls School, Mandir Marg, New Delhi on 13-09-2013. The session aimed at inculcating scientific temper in young minds. The students got a new approach for learning science and scientific aspects of academics. IDF appreciates the efforts of Mrs. Anuradha Amos, Principal and Dr. Hepesh Shepherd for co-ordinating the entire programme. Also thanks to the Science Teacher Mrs. Meenakshi for organizing the talk. Team Indian Development Foundation (IDF) - Dr. ARK Pillai and Dr. Narayan Iyer - spoke to the students of Birla Balika Vidyapeeth, Pilani on 12-09-2013 on student social responsibility and participation in various social projects. National Awardee Dr. M. Kasturi, Principal of the School congratulated IDF for the wonderful humanitarian programmes carried out in India. Several students came forward to become social ambassadors to spread the message of goodness. IDF Social Ambassador Ms. Anushna Sen will be co-ordinating with the students. Indian Development Foundation (IDF) inaugurated BAPUJI BAL GURUKUL, RC Selva Rani Middle School, Chinnalapatti, Dindigul on 11th September 2013. Sr. Amali, Malaiyadipatt was very happy to inaugurate the Bal Gurukul. 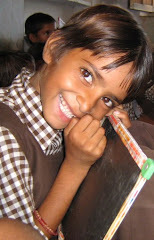 The Bal Gurukul program would be helpful to the students to improve upon their education and fluency in English. IDF committed to spread smiles all around. Dr. A.P. Jayaraman, Nuclear and Management Scientist and Trustee of Indian Development Foundation (IDF) spoke to the Teachers of Delhi Public School, Jaipur on 10-09-2013. The session aimed at inculcating Thinking Skills with a scientific approach. IDF appreciates the efforts of Mrs. Seema Bhatnagar, Principal, DPS for co-ordinating the entire programme. Also thanks to all the students for contributing for social causes. Dr. A.P. 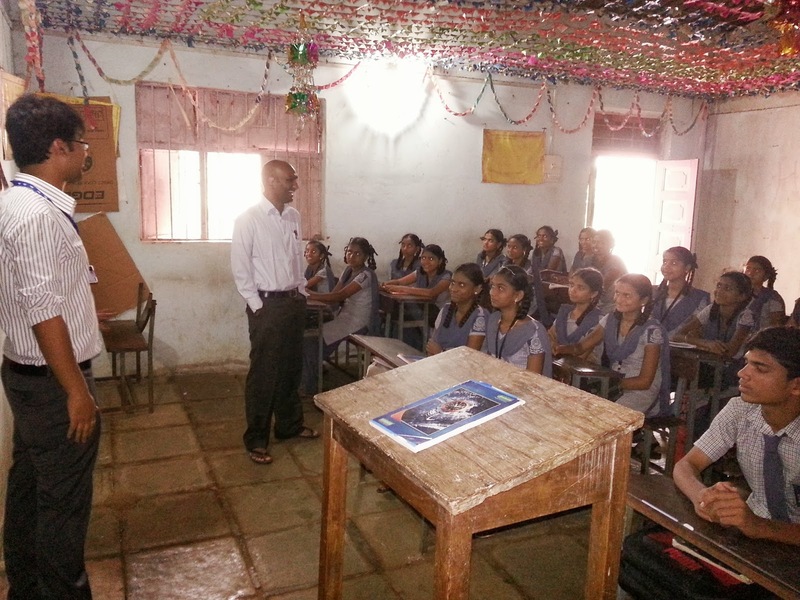 Jayaraman, Nuclear and Management Scientist and Trustee of Indian Development Foundation (IDF) spoke to the students of Bharatiya Vidya Bhavan's Vidyashram, Pratap Nagar, Jaipur on 10-09-2013. The session aimed at inculcating scientific temper in young minds. The students got a new approach for learning science and scientific aspects of academics. IDF appreciates the efforts of Mrs. Priyadarshini Kachhawaha, Principal, Bhavan's Vidyashram for co-ordinating the entire programme. Also thanks to all the students for contributing for social causes. 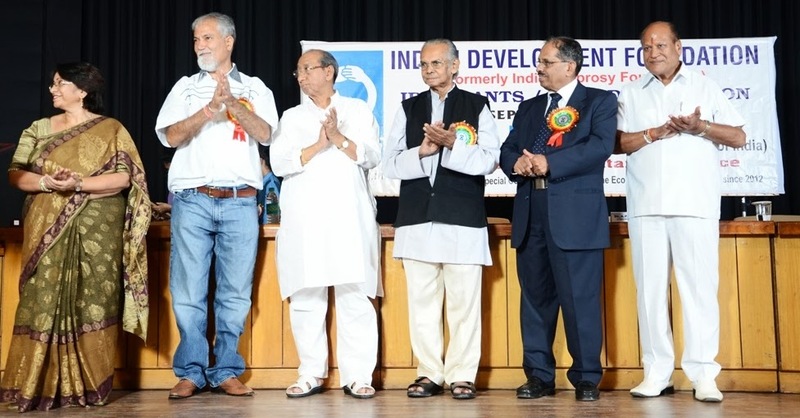 IDF Grants/ Awards Function for northern region was held at Bharatiya Vidya Bhavan's Maharana Pratap Auditorium, Jaipur on 10th Sept. 2013. Dr. A.P. Jayaraman, Nuclear Scientist was the Chief Guest for the event. Guests of Honour included - Shri O.P. Dargar, President, Shri Maheshwari Samaj - Dr. K. L. Jain, Hon. Sec. Gen. Raj Chamber of Commerce - Mrs. Renu Sehgal, Principal, Mody School, Lakshmangar - Mrs. Priyadarshini Kachhawaha, Principal, Bhavan's Vidyashram - Shri Suresh Kaul, President, SMK. 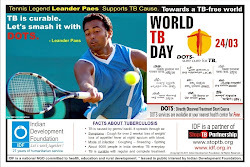 Highlights - Release of Grants to leprosy/ TB/ education projects. Social Action Awards to Schools/ Principals/ Teachers/ Students/ Social Workers/ Social Ambassadors.Mother Teresa Memorial Award 2012-13 for Rajasthan Region was presented to Maheshwari Pubic School. Dr. A.P. Jayaraman, Nuclear and Management Scientist and Trustee of Indian Development Foundation (IDF) spoke to the students of Bright Future Sr. Sec. School, Nirman Nagar, Jaipur on 09-09-2013. The session aimed at inculcating scientific temper in young minds. The students got a new approach for learning science and scientific aspects of academics. IDF appreciates the efforts of Mr. Y. K. Sharma, Principal, Bright Future Sr. Sec. School for co-ordinating the entire programme. Also thanks to all the students for contributing for social causes. 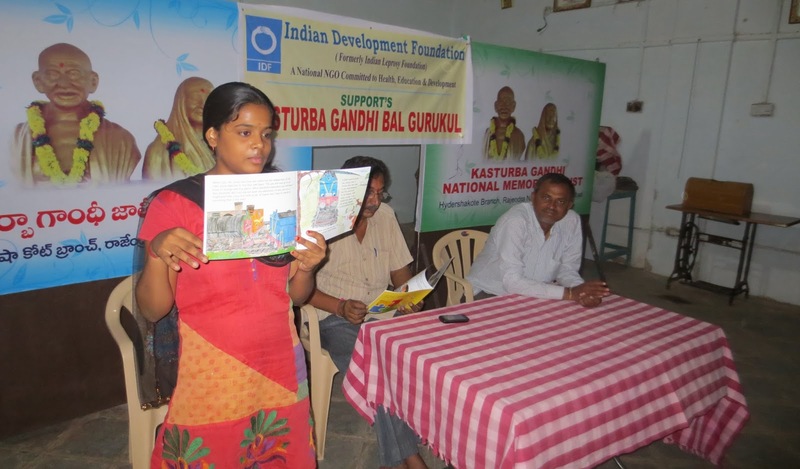 Kasturba Gandhi Bal Gurukul was started in Feb, 2013 in association with Kasturba Gandhi National Memorial Trust, Hyderabad. One Day One Story Event programme was initiated in the Bal Gurukul with a view to enhance the reading habit of the students and improve on their knowledge and learning abilities. The stories were basically from the story books: 1. Telugu Book - Paplu Rakshasudu, 2. English story book - Sam's Christmas Present, 3. English story book - The Timid Train. 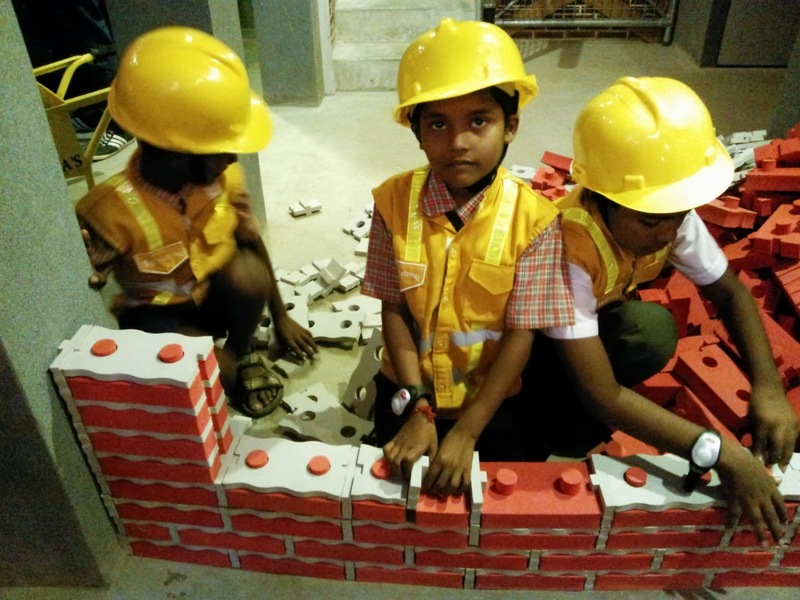 Indian Development Foundation organized a visit to Kidzania- An indoor family edutainment park. IDF organized the visit to the edutainment park for the schools from Malvani, Malad. 5 schools namely; Gurukul School, Sir J.R. School, Dayasagar School, Holy Mother School & Oxford School participated and visited the park. Approximately 700 students and teachers/volunteers were part of the visit. KidZania is an indoor edutainment theme park that emulates the workings of a real city and allows children to role-play realistic activities. KidZania is about real life experiences, empowering, inspiring, and educating kids through role play. Kids can role-play over 70 different activities in 60 different establishments, such as being a chef, pilot, surgeon, nurse, lawyer, fire-fighter, police officer, actor, reporter, artist, newscaster, photographer, etc. Students enjoyed the visit as it was not only learning but also fun and entertainment; where the students did it and learnt it. 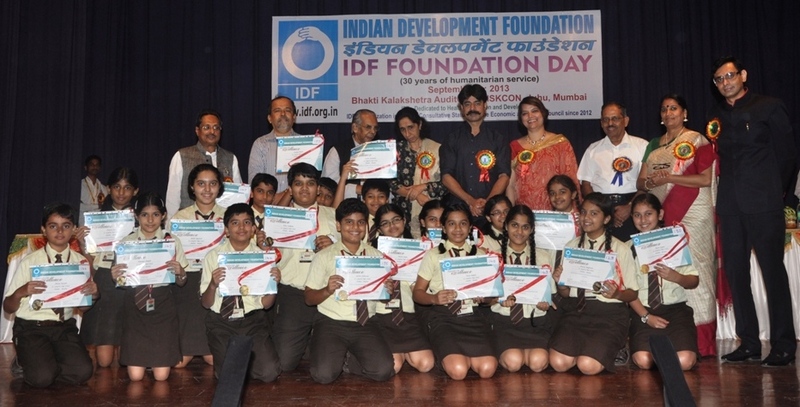 IDF Foundation Day was organized on 3rd of Sept. 2013 at Bhakti Kalakshetra Auditorium, ISKCON, Juhu, Mumbai. 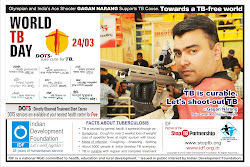 IDF Trustees - Dr. ARK Pillai, Dr. A.P. Jayaraman, Dr. Geetha Mohan and Rtn. Aunali Rupani - presided over the function. Leprosy/ TB/ Education projects in Western India received IDF Grants at the function. 31 school Principals/ Teachers - 170 students were honoured for excellent social work. IDF CSR Awards/ IDF Best Partner Award/ IDF Social Ambassador Awards and IDF Social Action Awards were presented.